Yapp (Your App), aims to help organizations, groups, and individuals quickly and simply create rich and elegant mobile apps to enhance events and gatherings such as weddings, conferences, reunions, classes, book clubs, fundraisers, parties, etc. As Head of UX & Creative Director, I was responsible for the platform's UX & design, as well as the Yapp brand development. The work encompassed my broad skills as a brand identity expert and a product UX & design leader across web and mobile platforms. 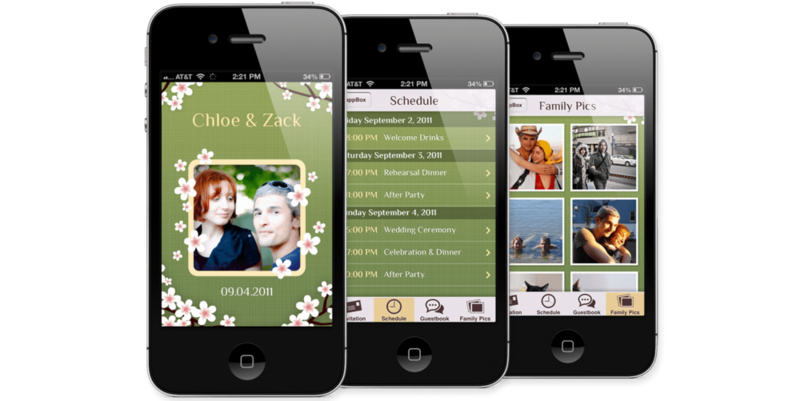 In addition, I was leading the apps' themes artistic direction, which required a strong design ability to work in many graphic styles. Yapp was chosen as one of the 25 standout apps of 2012 on Mashable and is widely covered in the news. The Logo: The Yapp logo design uses a typographic solution for the meaning of "Yapp" (Your App). The logotype was created from scratch not using an existing font, to give the brand a unique and memorable voice. The brand was used in different forms across the entire offering: Web App Editor, YappBox (the apps inbox which is downloaded from the AppStore), as well as the Yapp brand across blogs and social networks. The Web Platform: The challenge in creating the web platform was how to provide an easy to use app creation tool for people with no technology background or design skills. The goal was to allow users to create an app in minutes, in a simple and engaging way. My vision when planning the UX was that any person that is able to go through a checkout funnel should be able to create a Yapp. The Yapp Editor is fun, engaging and simple to use. We ran a lot of user testing to confirm the ease of use of the tool before starting the development. The Mobile Apps Templates & Visuals: The mobile apps that are created with the Yapp Editor, had to be scalable in order to grow the inventory of themes without creating development overhead. The screens designs had to be simple enough to allow that flexibility. In addition, it was important to stay within the iOS / Android UX conventions so that users will not have to acquire additional knowledge when using the apps. The rich and versatile visual language for each theme managed to break the template base character of the UX.